Discover the possibilities of Lightweight M2M - protocol created by Open Mobilie Alliance for M2M or IoT device management. OMA SpecWorks’ LightweightM2M is a protocol for device management, designed especially for managing sensors, microcontrollers and machine to machine communication. It’s dedicated to managing lightweight and low power or resources devices working in different network environments. It was created by Open Mobile Alliance – the organization responsible for creating unified standards for the mobile industry. Over 25 global companies are currently using LWM2M technologies in the process of developing their product or services. Due to interesting possibilites, this number is still growing. 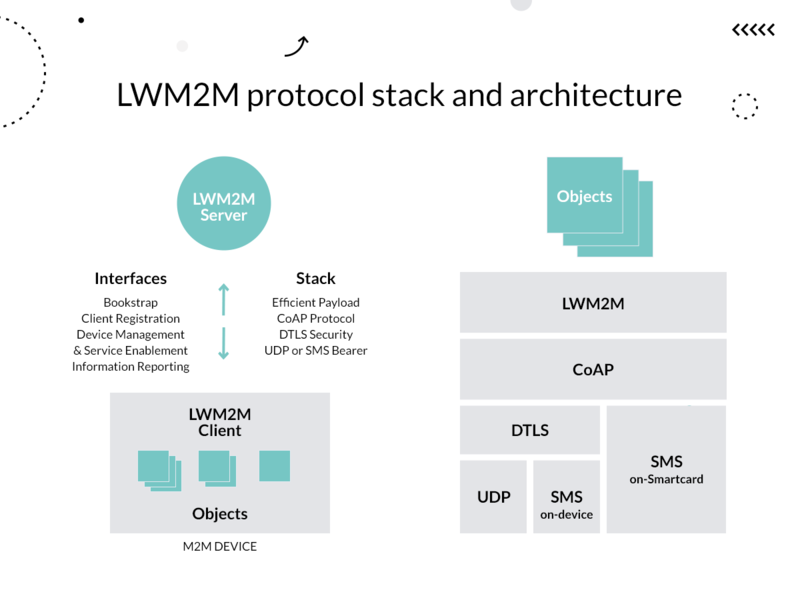 The developer community is supported by the LwM2M Developer Toolkit. According to most of the forecasts presented by Forbes, IoT market is going to develop rapidly in the coming years. Some forecasts say that it will grow from $157B in 2016 to $457B in 2020. Such a rapid technology development requires huge work targeted at the unification of the ways we manage the billions of devices connected to the global network. Find out how Thaumatec is working on the integration of LWM2M protocol into communication between sensors and computers. Are you interested in possibilities of LWM2M? By using this form you agree with the storage and handling any of your data by this website and our company.